Clarke Quay has always been perceived as an expensive tourist attraction caused by overpriced booze and food along Boat Quay. Therefore most locals tend to shun that area and find nightlife elsewhere. 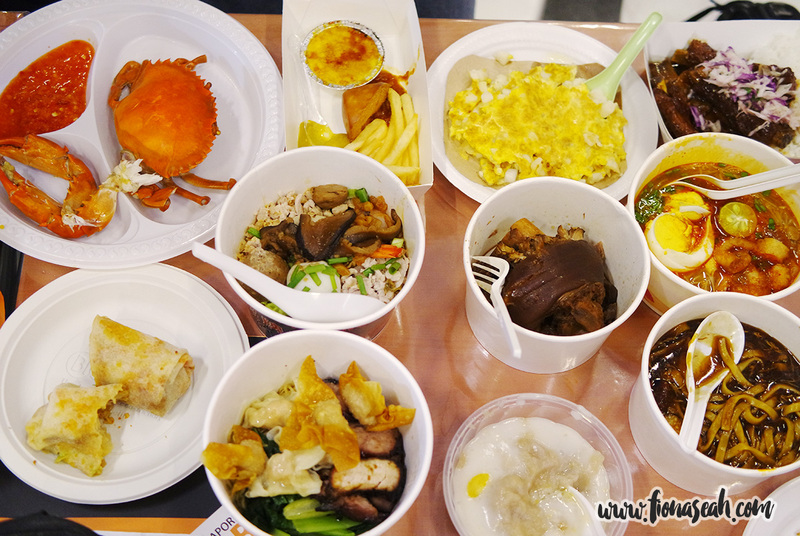 But since last Friday, hordes of hungry people (more than 80,000 over the weekend) – both locals and tourists alike – have been streaming into this historical landmark to satisfy their craving for Singaporean food. If you’re guessing that a new restaurant has opened its doors at Boat Quay, you’re quite close! 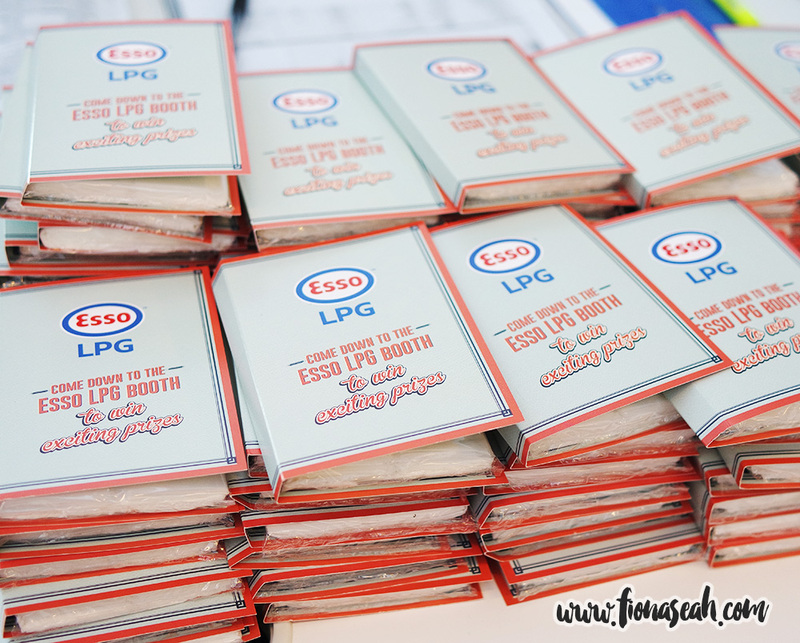 This sudden buzz of activity is due to the Singapore Favourite Food Village (presented by Esso LPG) along Read Bridge which sees a vast variety of hawkers and young chefs gathering to serve up traditional Teochew favourites and new cross-cuisine offerings under one roof. 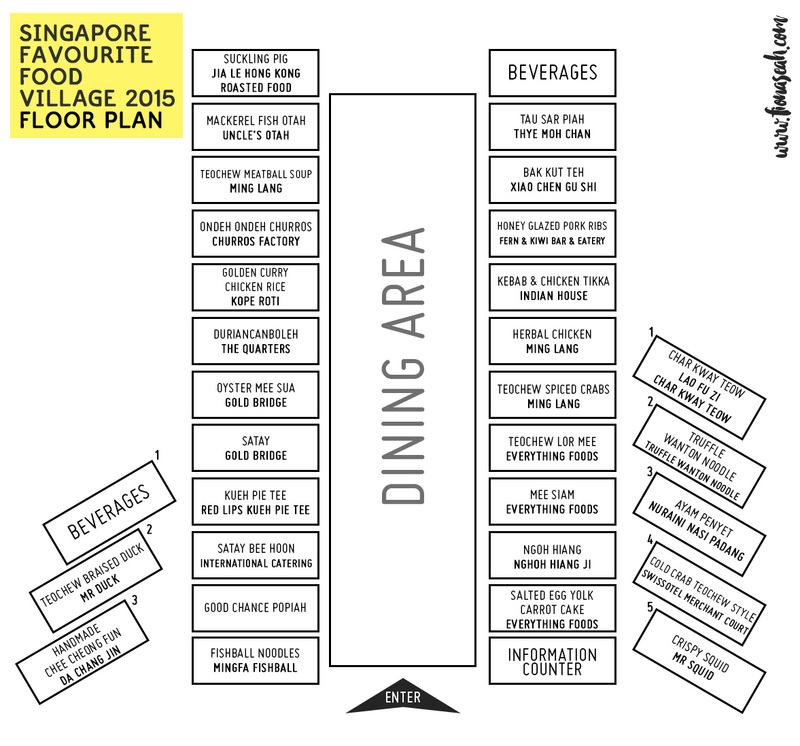 If you’re close enough, you could even catch a whiff of all the scrumptious food coming from the makeshift booths located outside the large white tent specially set up for this 10-day event. 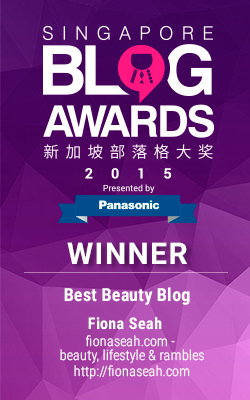 Why Teochew? 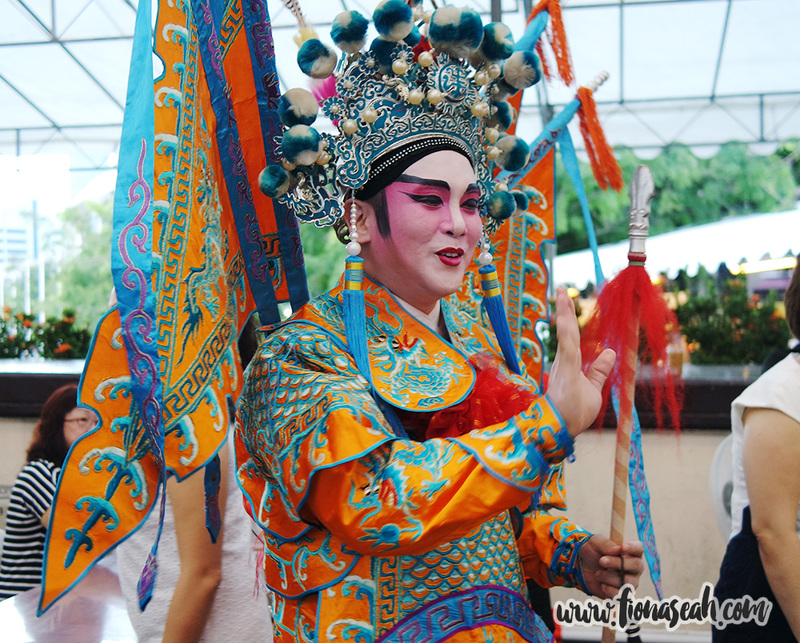 Well, while most are familiar with the history of Singapore River, not many are actually aware of the transformation that had taken place throughout the years around it. 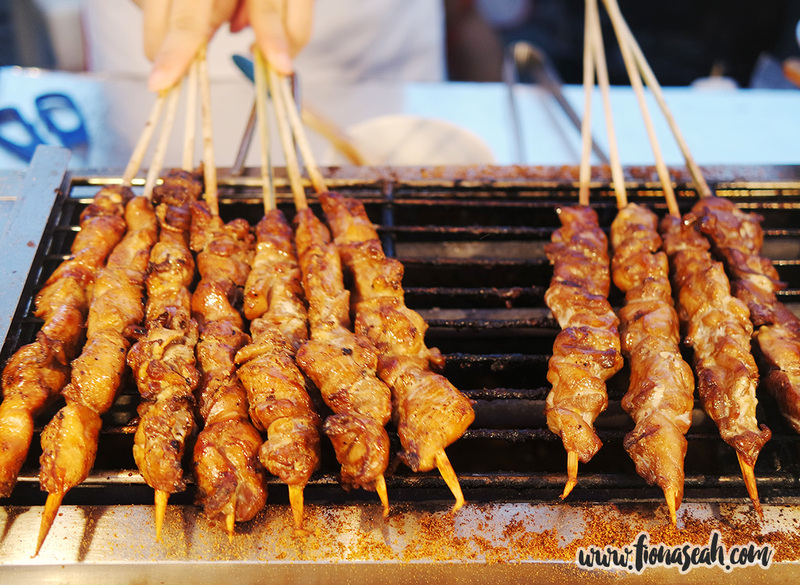 Once stood along Singapore’s iconic river long before the country gained independence was Ellenborough Market which was subsequently nicknamed “Teochew Market” as the Teochews populated the area with nearby hawker stalls specialising in well-known Teochew food. However, a big fire struck the wet market in 1968 and wiped out most of it as a result. The remains of the building was then demolished to make way for housing flats in the 1970s. 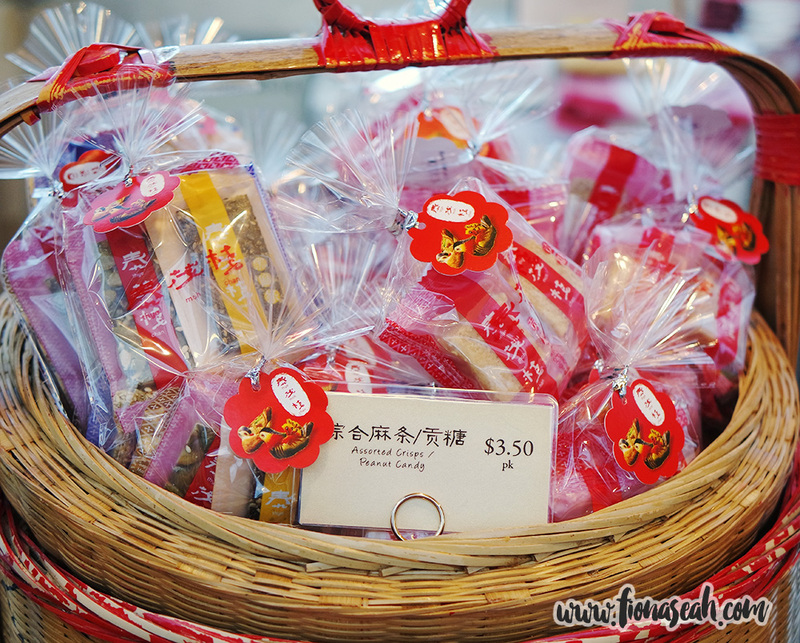 As a Teochew myself, I’m quite ashamed not to have known about this important aspect of the Teochew community’s history in Singapore so I’m glad to have been enlightened through this Teochew-dedicated food fair (and I hope you will too!). 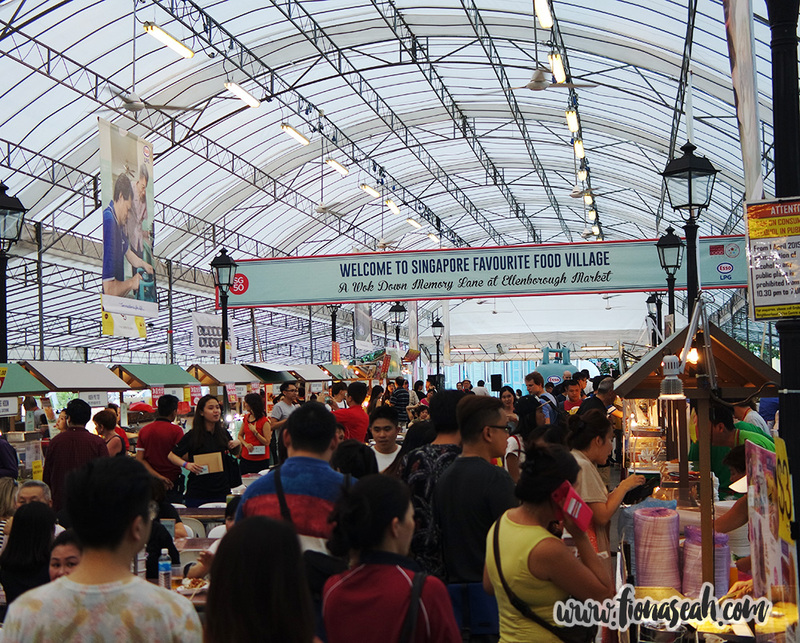 Here are some highlights of the Singapore Favourite Food Village to prep your stomach if you’re planning to make a trip down this coming weekend. I didn’t manage to try the roasted meat but a fellow food blogger who was also present at the event remarked that the Suckling Pig was good and it was sold out before 9pm. So make sure you’re there early to try it! 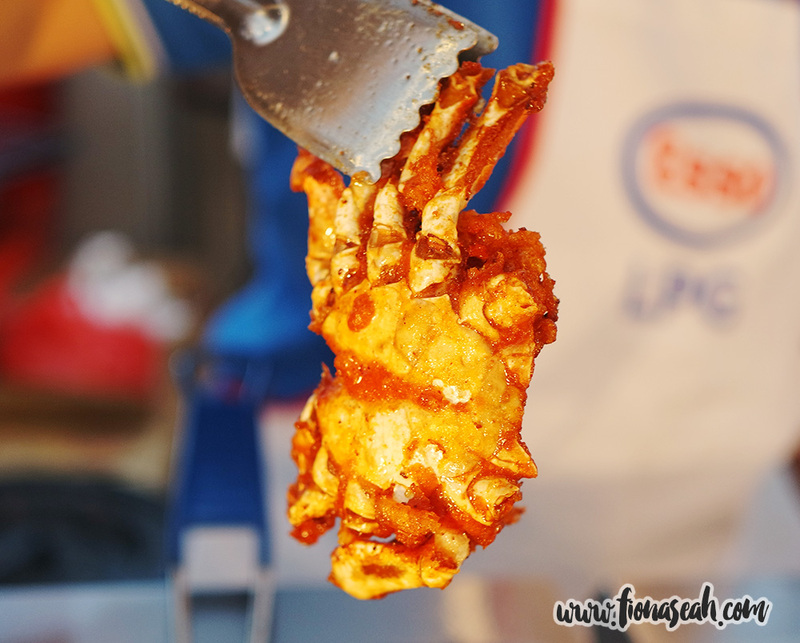 As a sucker for all things salted egg, I was thrilled to know that it has been incorporated into one of my all-time favourite hawker food – fried carrot cake! It’s a very memorable dish with flavours that are incredibly complementary. 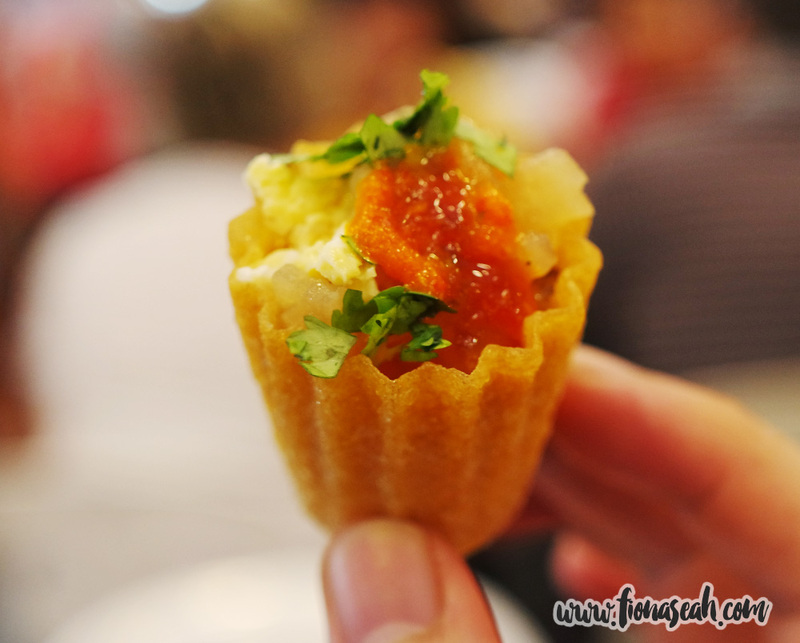 The taste of the salted egg was slightly more overwhelming (but in a wonderful way) so it was the first thing that hit my palate the moment I deposited a tiny piece in my mouth. 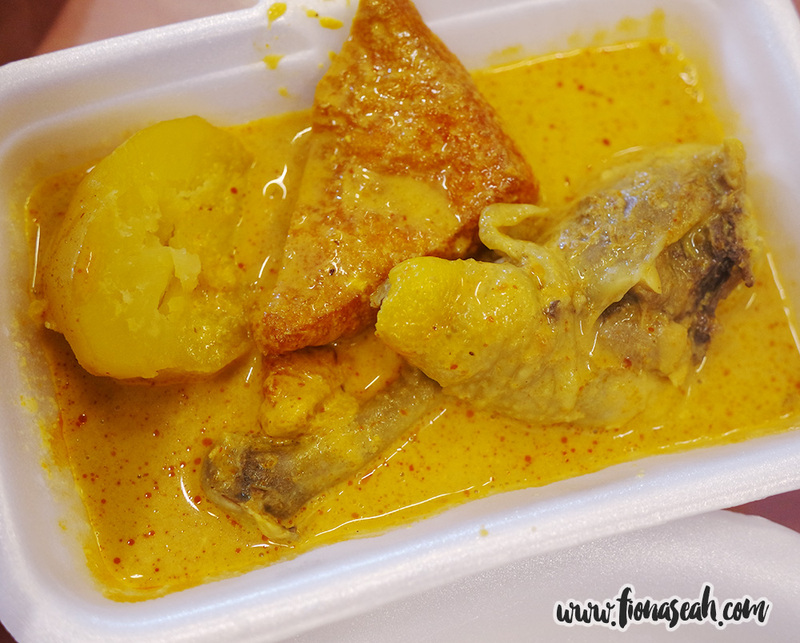 The creamy salted egg could also be seen oozing out from the sides. 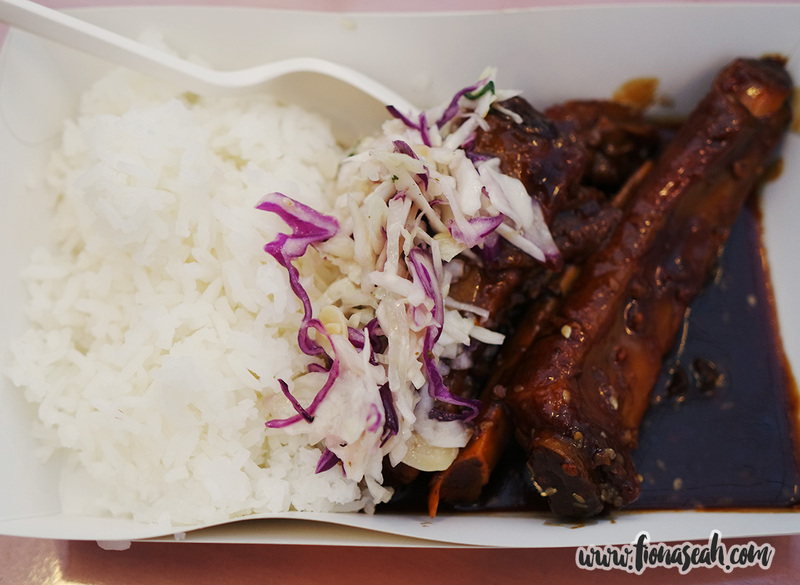 The portion, however, is a teeny-weeny bit small for the price but it’s definitely one of the best dishes at the SFFV. Drenched in sweet marinade and drizzled with sesame seeds, these soft, tender and value-for-money honeyed pork ribs promise a burst of flavours with every bite. 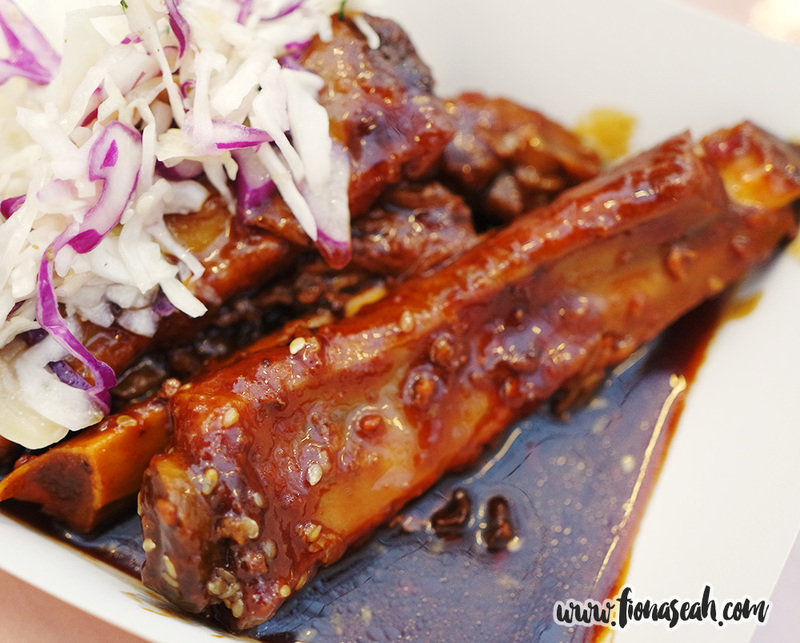 Although we forwent the rice to allow space for more food, I thought the price was still quite reasonable (especially coming from an upscale restaurant very well-known for its racks) because honestly, the pork ribs were incredible. 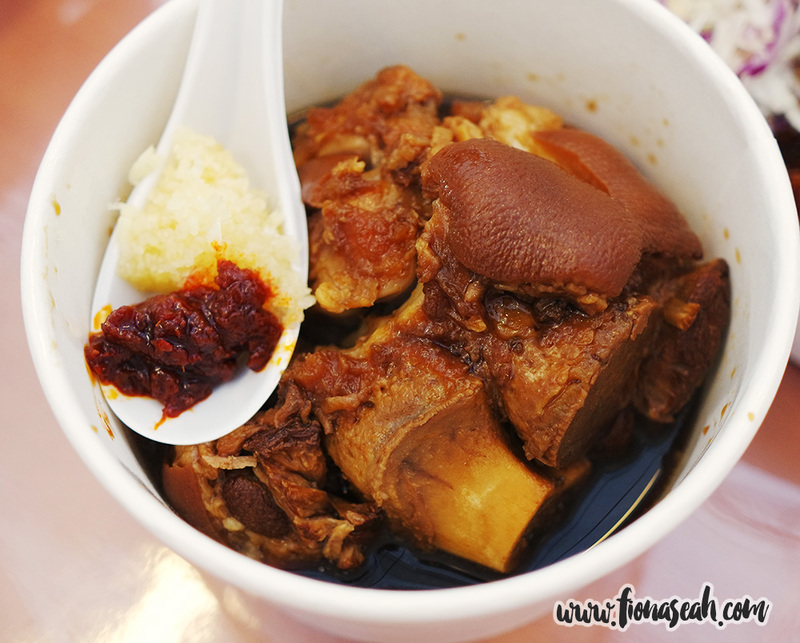 If you’re looking to fill your stomach on a budget, the Teochew Pig’s Trotter Lor Mee is one dish that is worth checking out. 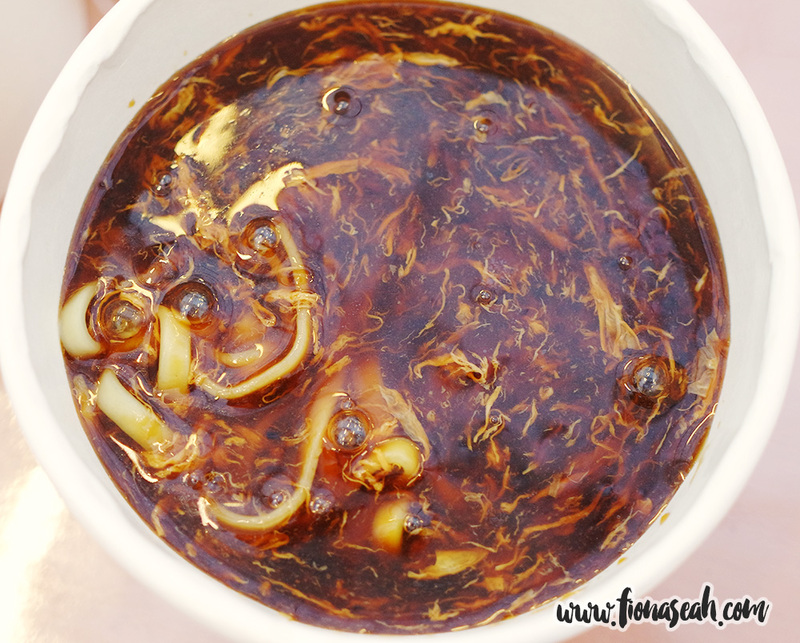 For just $6.50, you not only get a bowl of piping hot Chinese braised noodles served in thick starchy gravy, you also get to enjoy some gelatinous pig’s trotter. The gravy used in both had a subtle herbal taste that gave the dish an overall delicate flavour. The pig’s trotter is also unctuously layered with fatty skin (I’d say 80% fats, 20% lean meat), making it the perfect guilty pleasure food for those with a strong preference for fatty meat. 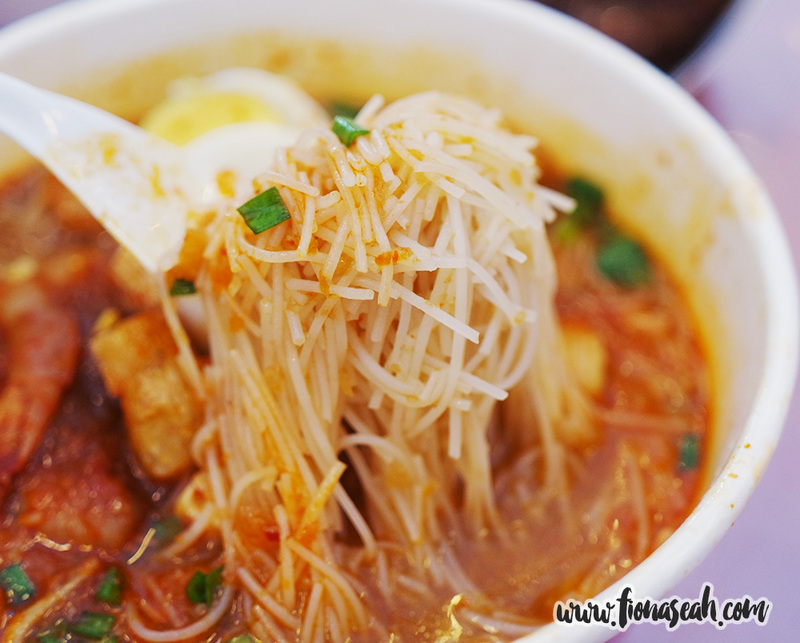 Adding to the parade of delectable local delicacies is a bowlful of toothsome and light vermicelli soaked in a well-balanced (sweet and sour) gravy and generously topped with shrimps, hard boiled egg and tau pok (fried bean curd). 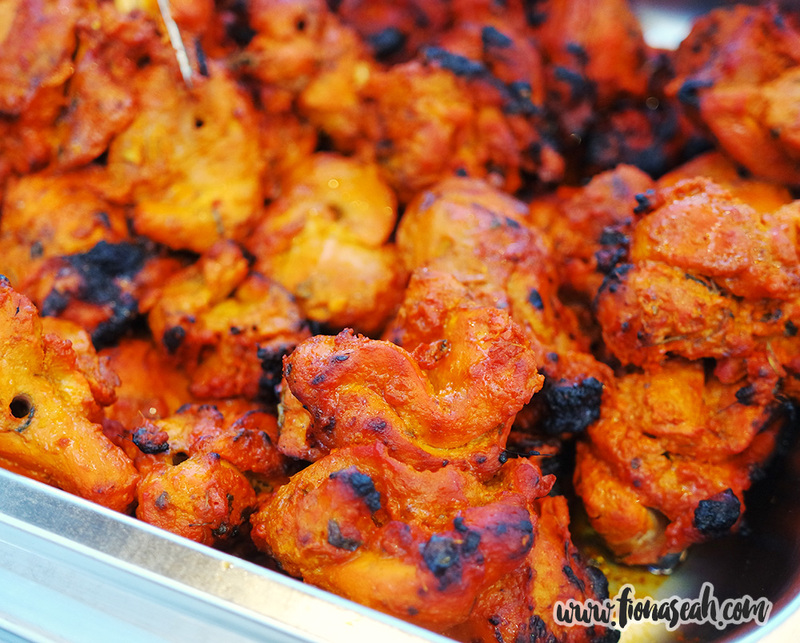 In terms of spiciness, my tongue wasn’t screaming relief even though I added extra chilli. 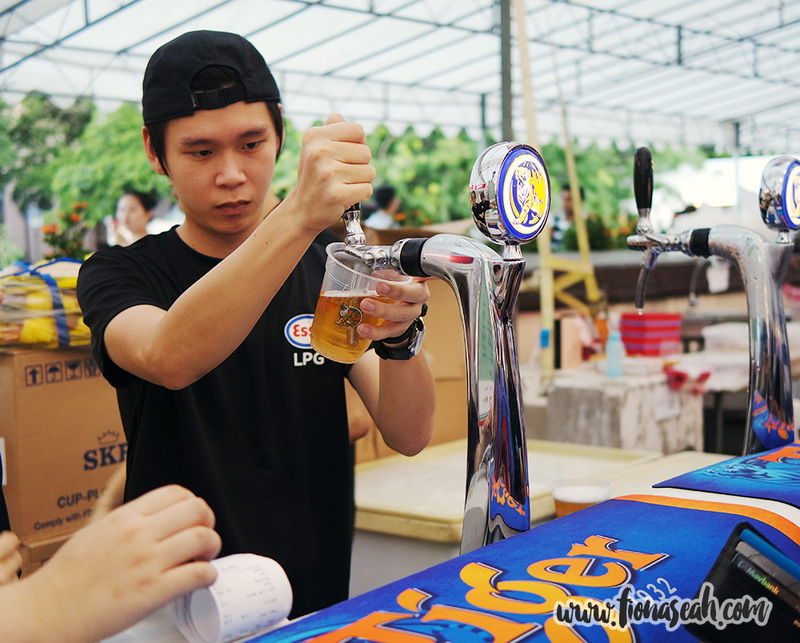 But taste-wise, it’s more or less the same as what you’d find at food courts and hawker centres. This is a rice dish as the name suggests but on the overall I felt it was too underwhelming for the price (although mine was sponsored). The chicken was a pain to eat because of the lack of meat and the potato could do with a bit more time in the pot. The curry was decent but average as compared to those I’ve had before so unless you’re really dying to have some coconut milk in your body system, I say blow your money on something else. 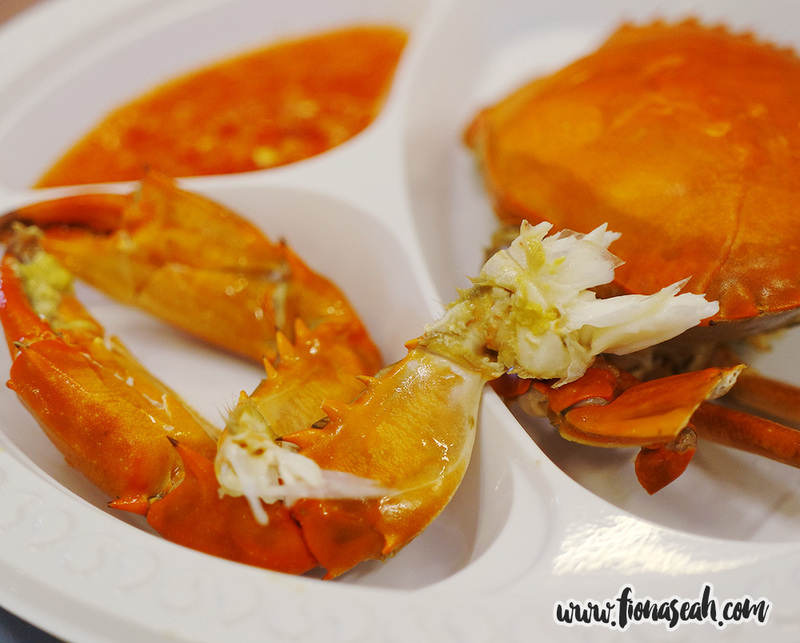 Don’t expect to be served a big crab if that’s what you’re anticipating. 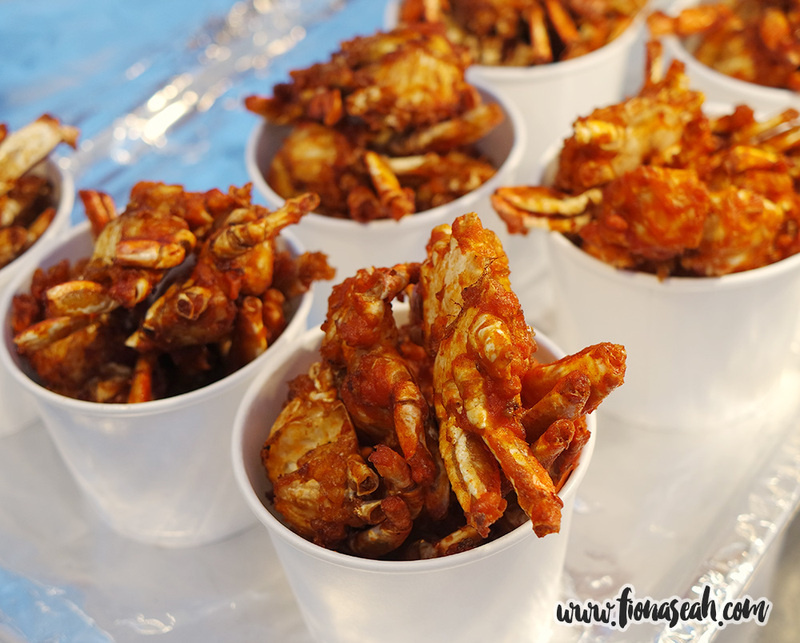 Instead, you’d be given a full miniature crab (that’s right, 2 pincers) served cold yet fresh by the chef of Swissôtel Merchant Court himself. The shell didn’t come broken (although I’m sure the chef would be more than happy to crack them for you upon request) but with a less sturdy shell due to its small size, the meagre amount of meat can be retrieved easily if you have the patience to rip the crab apart with your hands (make sure you have wet tissue with you because I don’t remember seeing sinks anywhere) and teeth. Honestly speaking, for the amount of meat you can get out of this crab, I don’t think it’s worth all the effort. But if you don’t mind the hassle, by all means give it a go! I’m probably gonna be slaughtered by qualified food critics (*cough*Gordon Ramsey*cough*) for saying this but I absolutely love truffle oil and its pungent smell (like, you can tell from the picture above right, me totally soaking in the aroma). 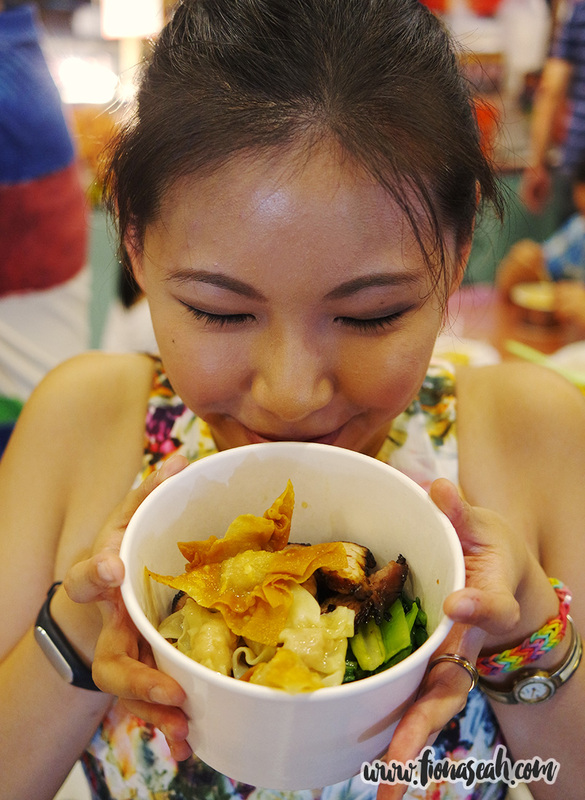 Therefore I was really looking forward to try the Truffle Wanton Noodle at the fair! True enough, the very first thing that greeted my nose was, much to the chagrin of boyfriend who was pinching his nose while shoving the bowl to me, the distinctive and unmistakable truffle smell. 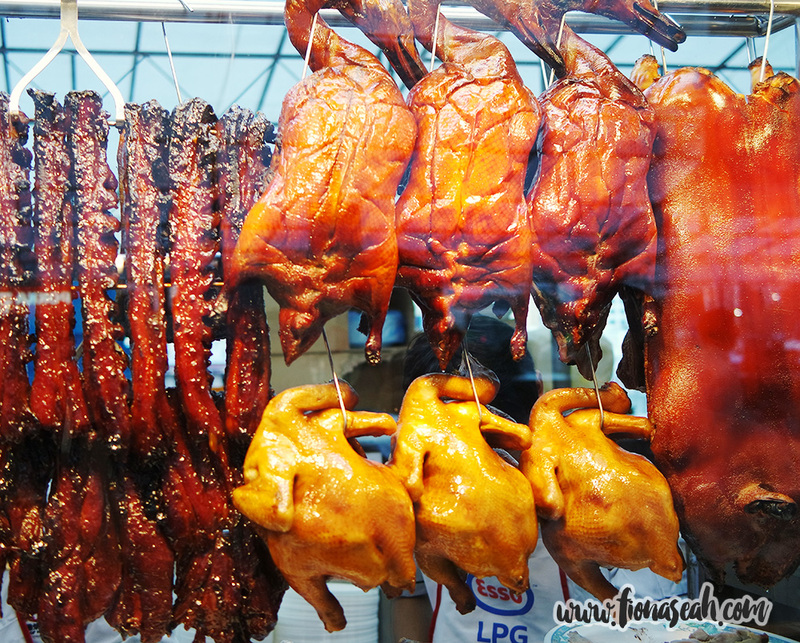 But that aside, the char siew (roasted pork) was sweet and rather tender. The charred sides also added texture and crunch. 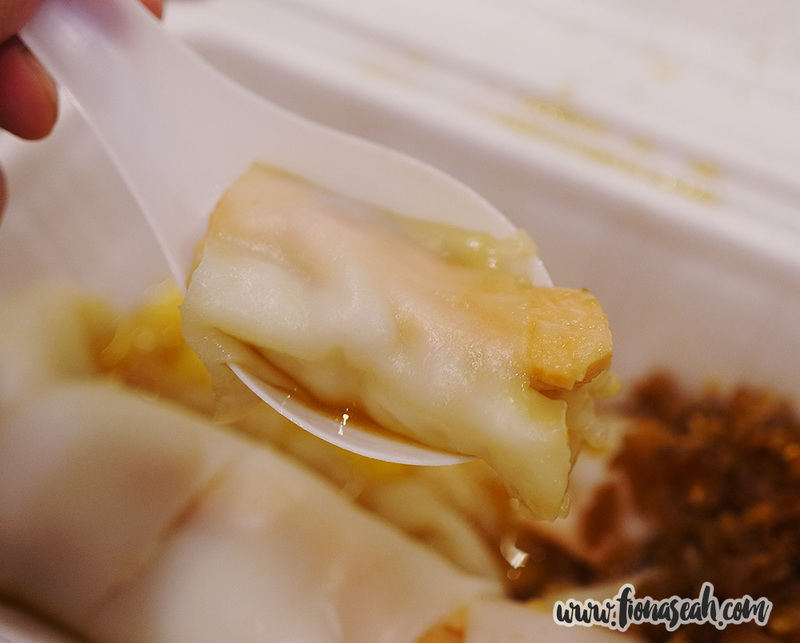 However, the wantons, though very crispy, were pretty average with (little) fillings that’s not so special. The noodles were also a tad too dry even after tossing them with the sauce hidden at the bottom. Therefore, this scores full marks for novelty but relatively lower for execution (after taking into consideration the great char siew and the awesome truffle oil). 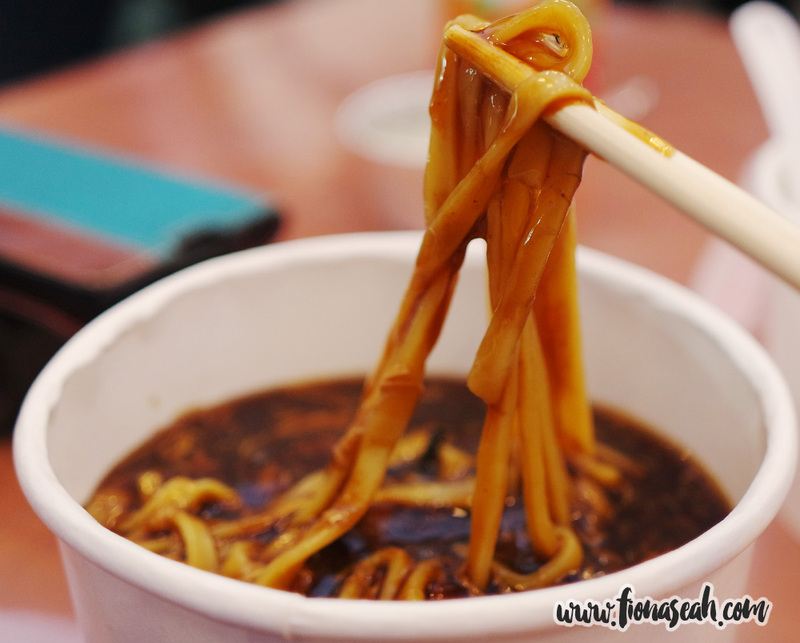 What’s a “wok” down memory lane without Ming Fa fishball noodles? Unknown to many, the old Ellenborough food market was actually once home to the famous fishball noodles so having it on board is indeed a great way to recreate the long gone market. What I really loved about the fishball noodles were, of course, the super soft and springy fishballs which, I swear, were among the best I had ever eaten. 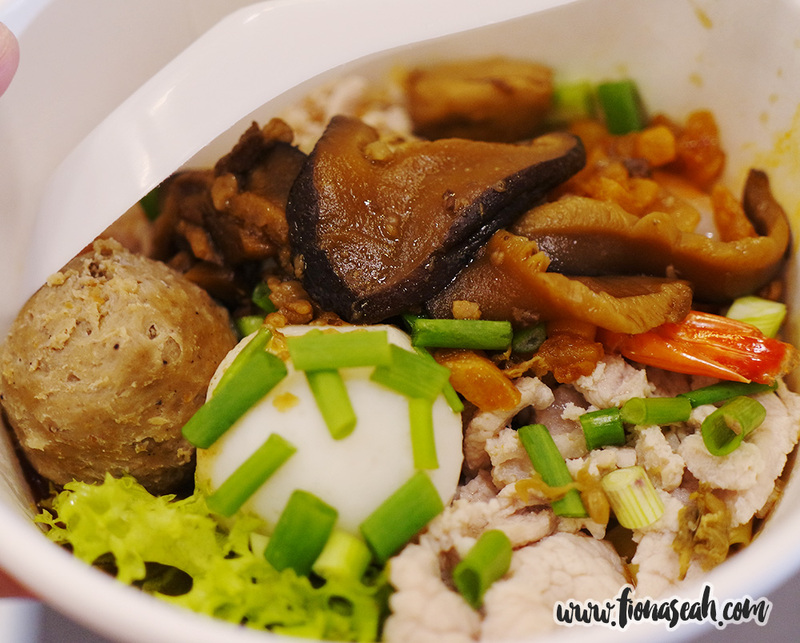 With a bountiful of ingredients (mushrooms and a truckload of meat! *slurps*), I must say that it is really a steal and especially so for a household name like Ming Fa. 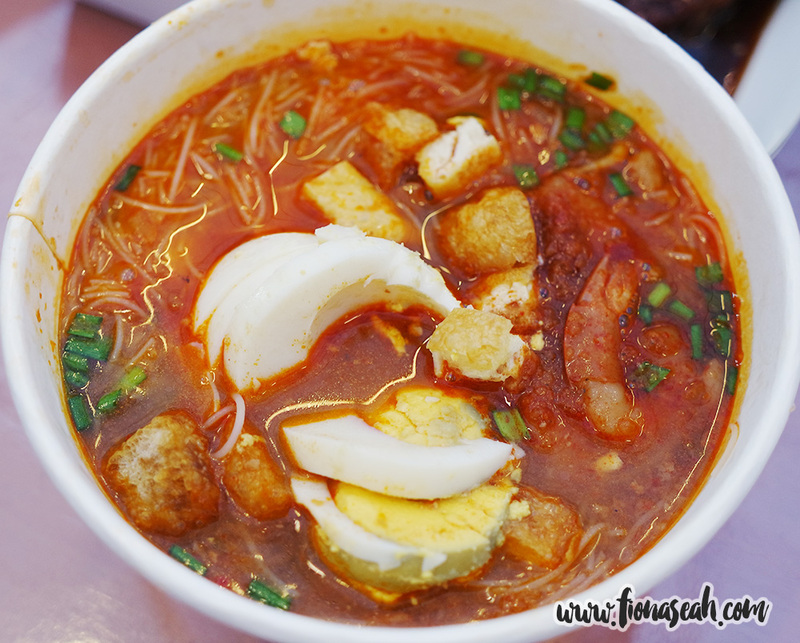 Sadly, this doesn’t come in soup version (which is a big boo-boo for me because as a half-Cantonese, I love my noodles to be immersed in piping hot soup, even for bak chor mee). Apart from their signature dish, there are also minced meat noodles (S$4.50) and laksa (S$4.50) to choose from but seriously, why bother? 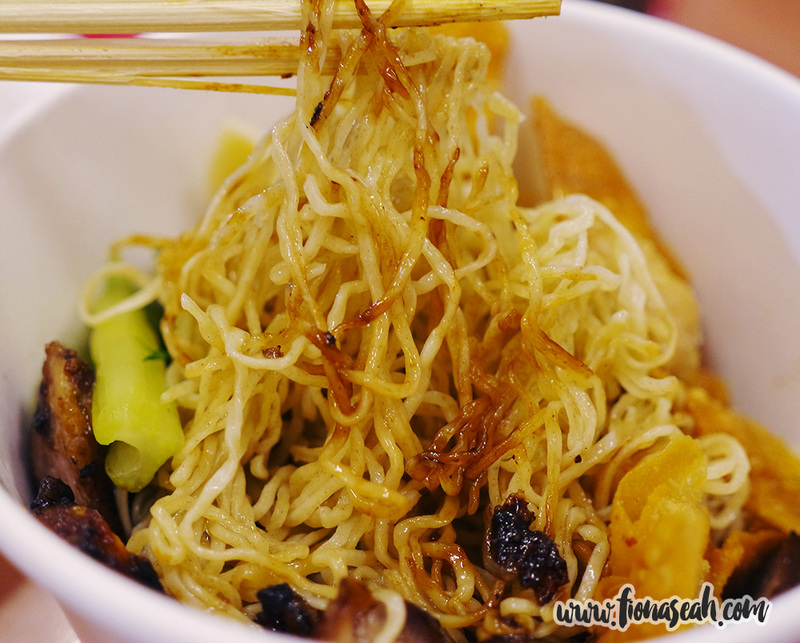 Just go for the fishball noodles! 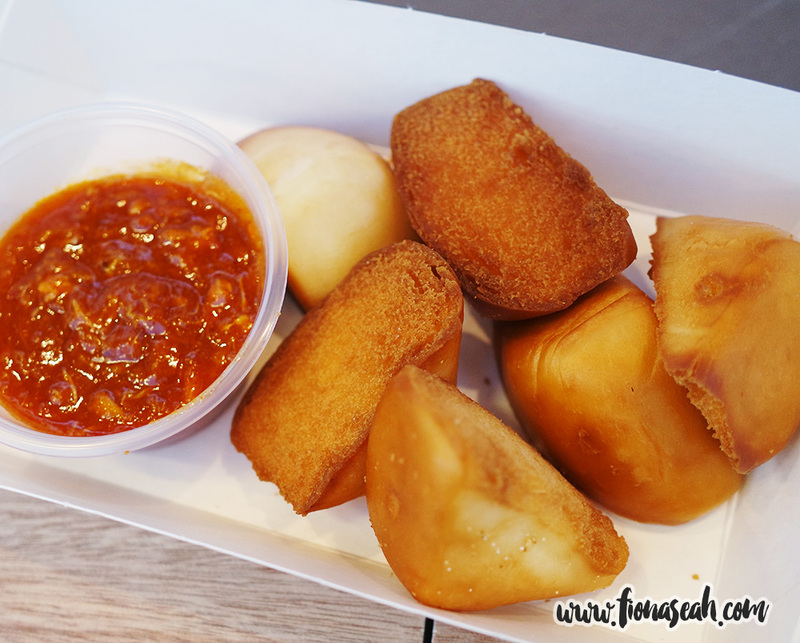 Stationed next to Ming Fa Fishball was Good Chance Popiah which specialises in Hokkien-style ‘Wrap-It-Yourself’ popiahs at its 149 Silat Avenue outlet. 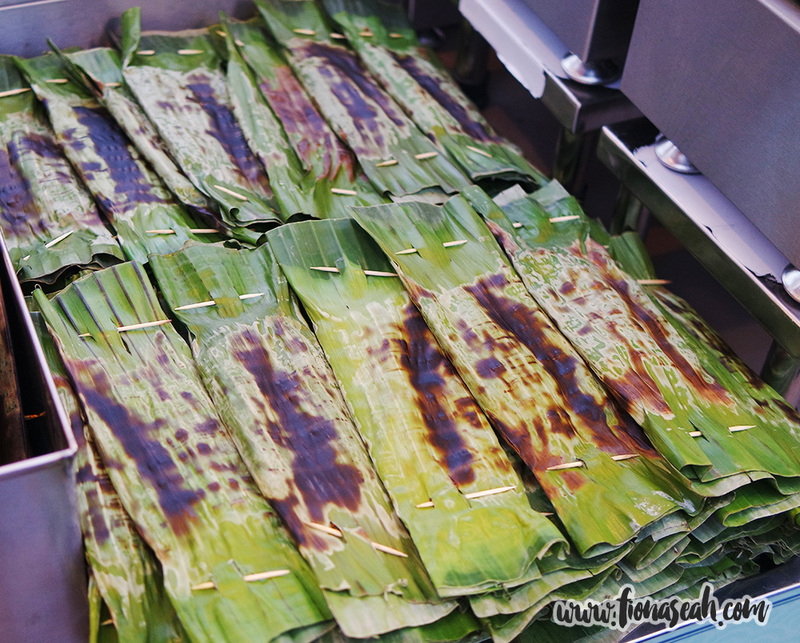 You will not get to create your own popiah at the fair (for obvious reasons) but you can be rest assured that your popiah would come packed with a variety of fresh ingredients such as beansprouts, shredded carrot, omelette, lettuce and turnips. The skin was thin enough to enable a large chunk to be bitten off without having everything falling apart. 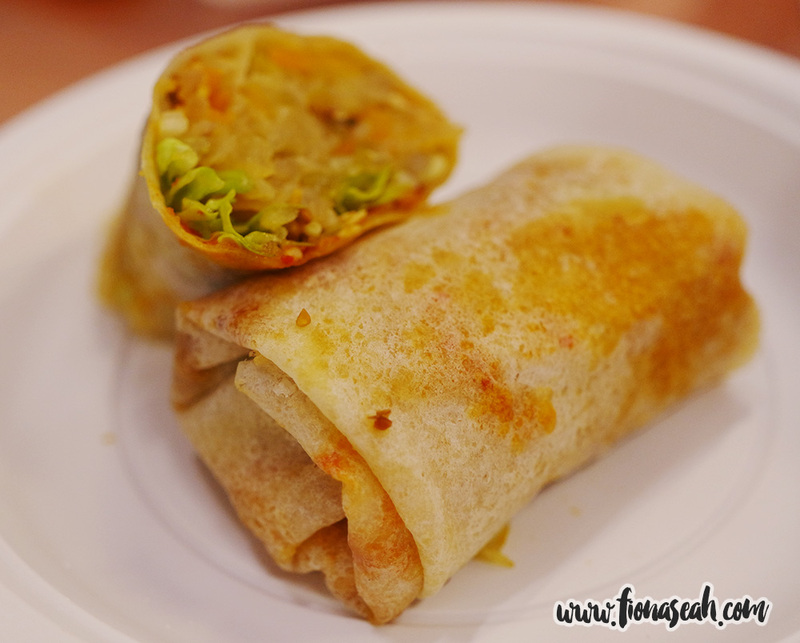 My spicy popiah (non-spicy option available) tingled my tongue a bit but it was still bearable. My only gripe was the absence of meat (therefore making this very vegetarian-friendly) which I thought was a shame because adding meat such as prawns would definitely give a richer and more succulent flavour (though the popiahs were already quite tasty on their own). 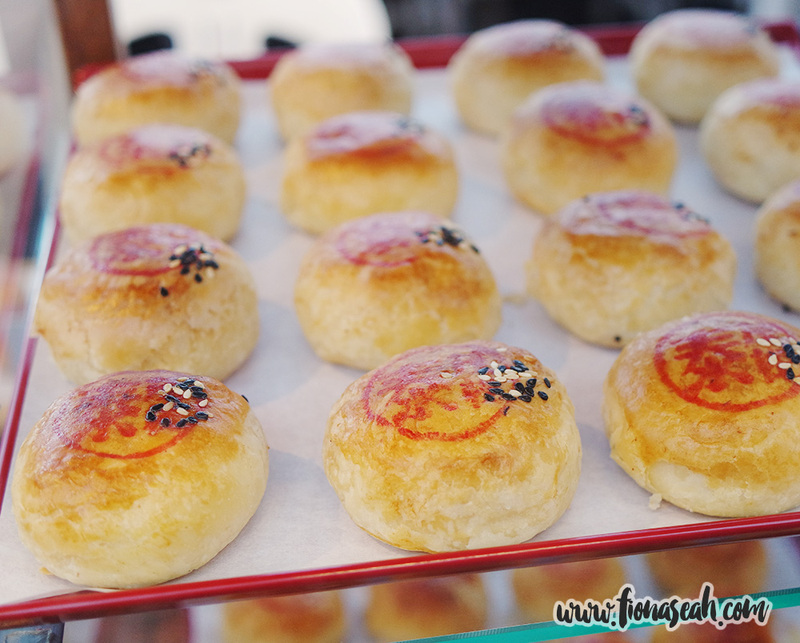 Made from an original Peranakan recipe, this set of four Kueh Pie Tee were nothing short of delicious. 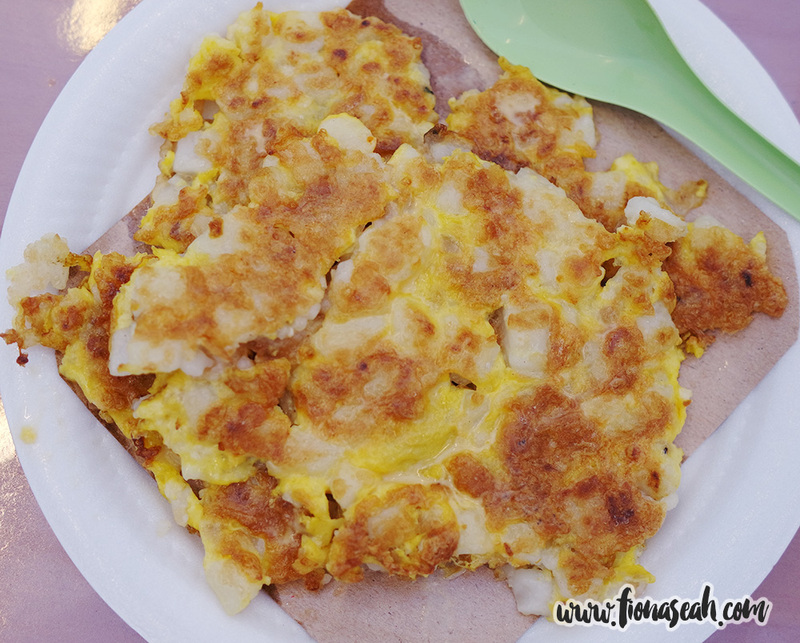 Laced with sweet chilli sauce for an added kick, the crusty cups were proportionately filled with shredded turnip, omelette and garnished with coriander leaf and crushed groundnuts which combine to give a mouthful of robust and hearty flavour. 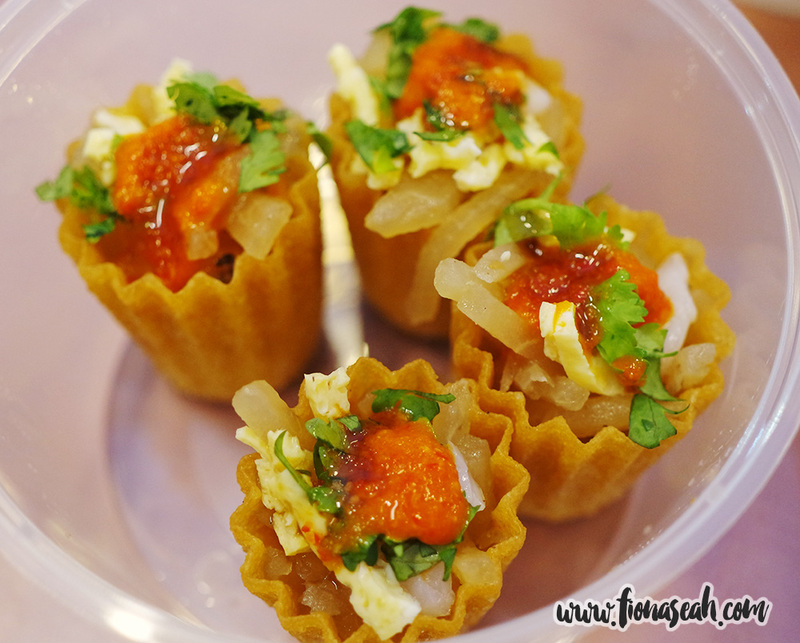 It’s also worth noting that these Kueh Pie Tee cups come in frozen packs of 15 as well to satisfy your craving, available at most Cold Storage outlets in Singapore (or you can buy a few boxes directly from their booth at SFFV). 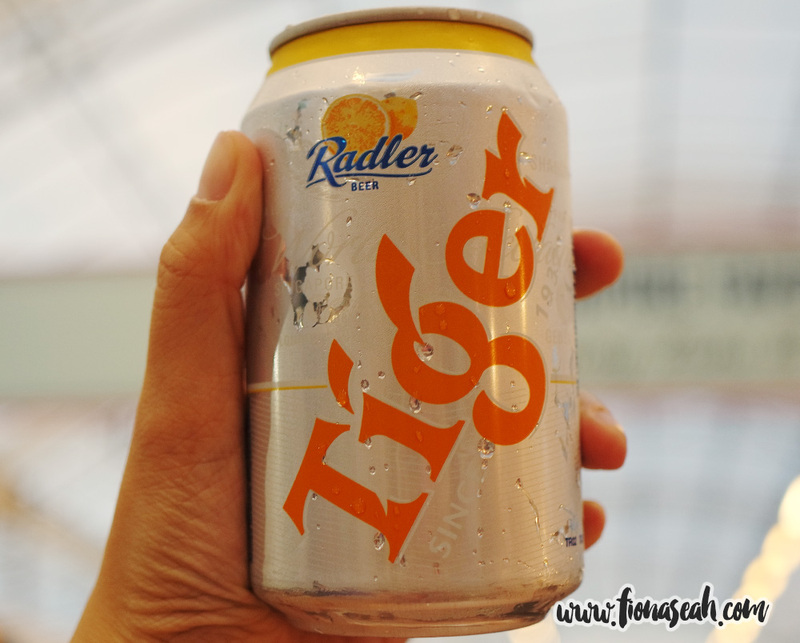 I’ve seen its stall at Holland Drive Market and Food Centre a couple of times during my 6-month internship but I didn’t get to buy from it because on the day I had finally snapped out of my craving for sliced fish soup (which happened to be my final day at MOE), it had decided to close. 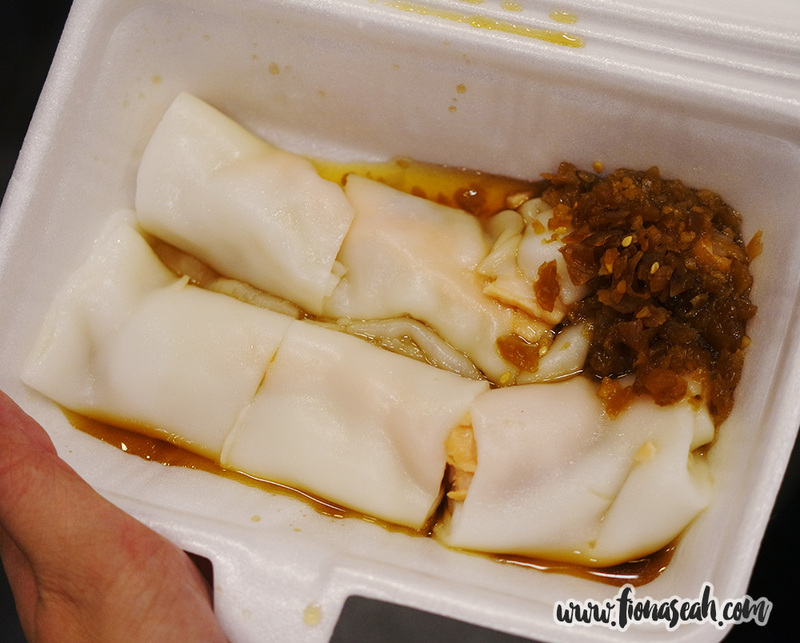 I guess fate brought me to SFFV last Friday so that I could try their famed Chee Cheong Fun! 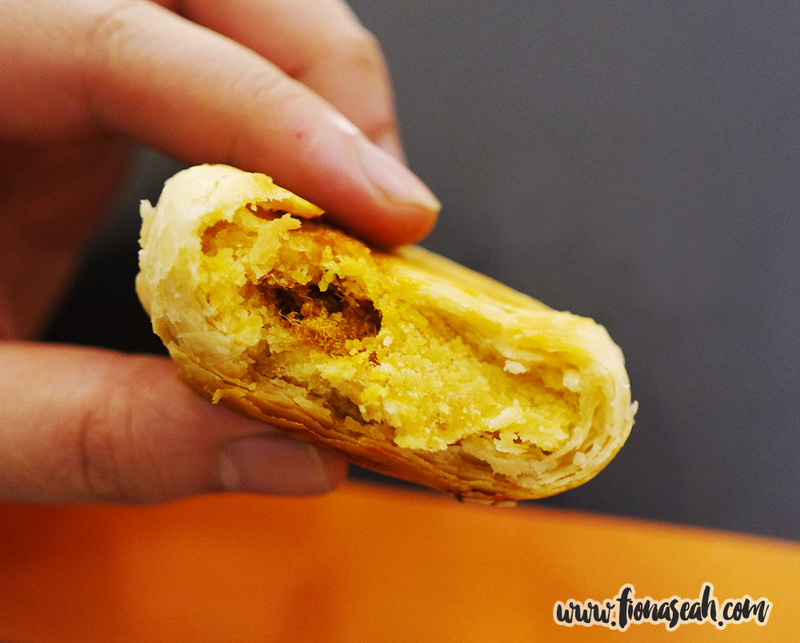 A true example of when East meets West, this snack combines the main elements of one of my favourite Malay kuihs and comfort foods to create a new type of crunchy dough pastry that’s guaranteed to take the Singapore street-food scene by storm if it is ever going to be popularised. 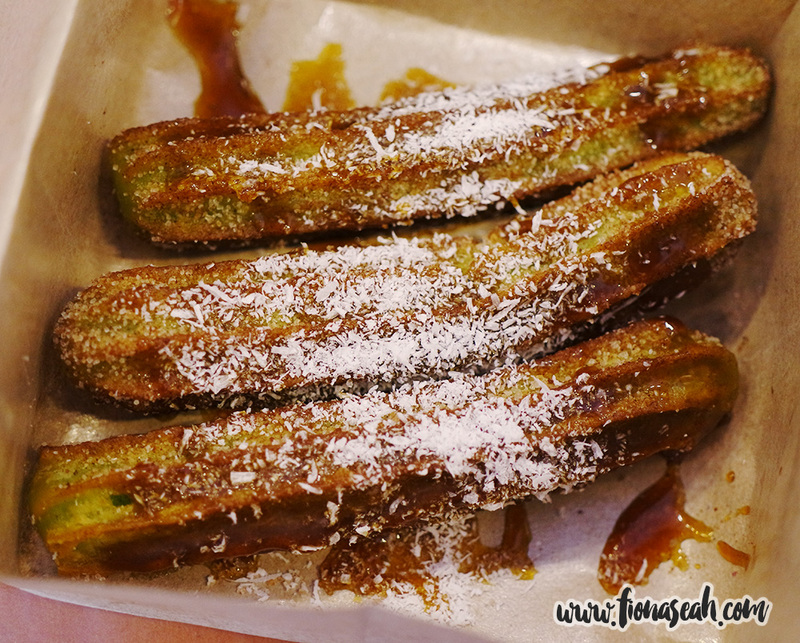 Garnished with grated coconut and drizzled with gula melaka syrup (in place of cinnamon sugar), these Asian-themed churros exude a pleasantly fragrant pandan aroma that’s incredibly inviting. The Duriancanboleh (or durian crème brûlée) was the star of the night. 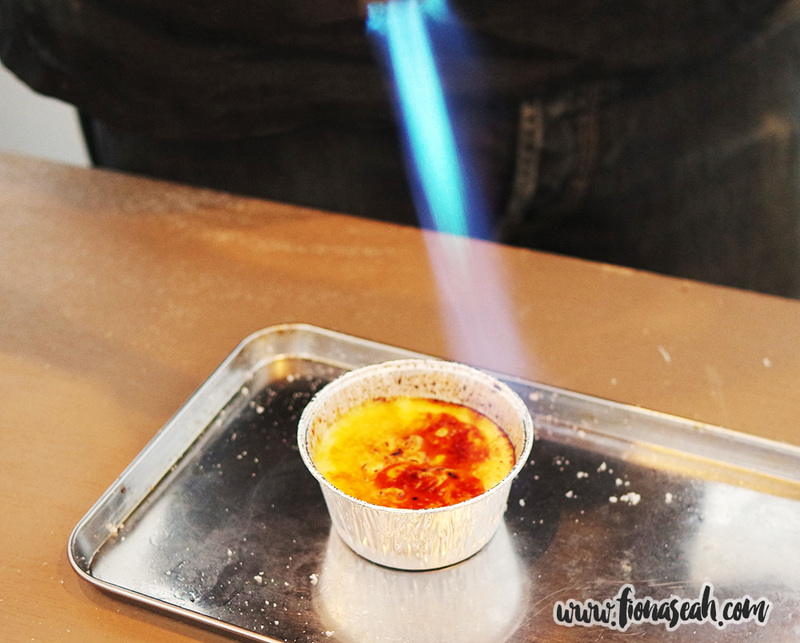 Served in a palm-sized aluminium cup, the fusion dessert is topped with a warm layer of scorched sugar crust that cracks upon impact with the spoon to unveil a perfectly creamy and fluffy custard underneath. 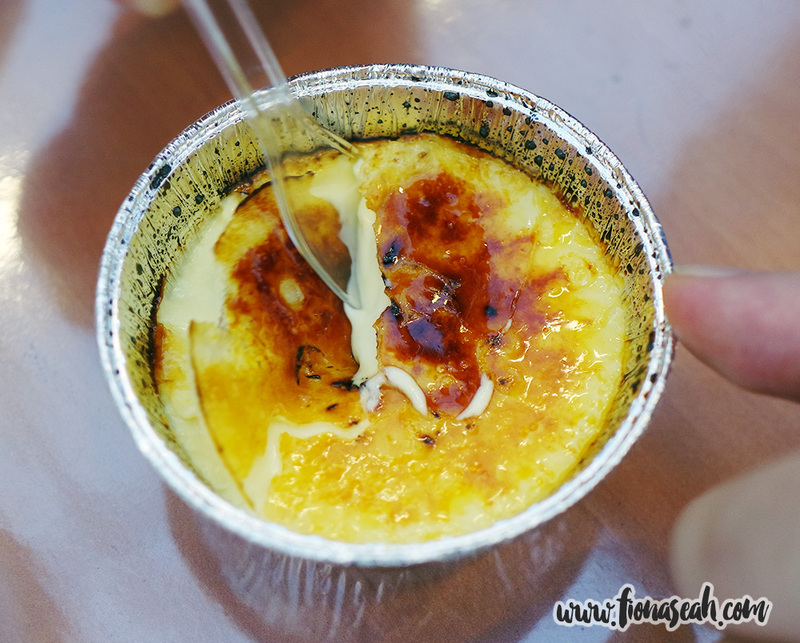 The decadent custard, infused with durian essence, was cold and sweet but not too overpowering. It was so gratifying and addictive it had me gagging for more! 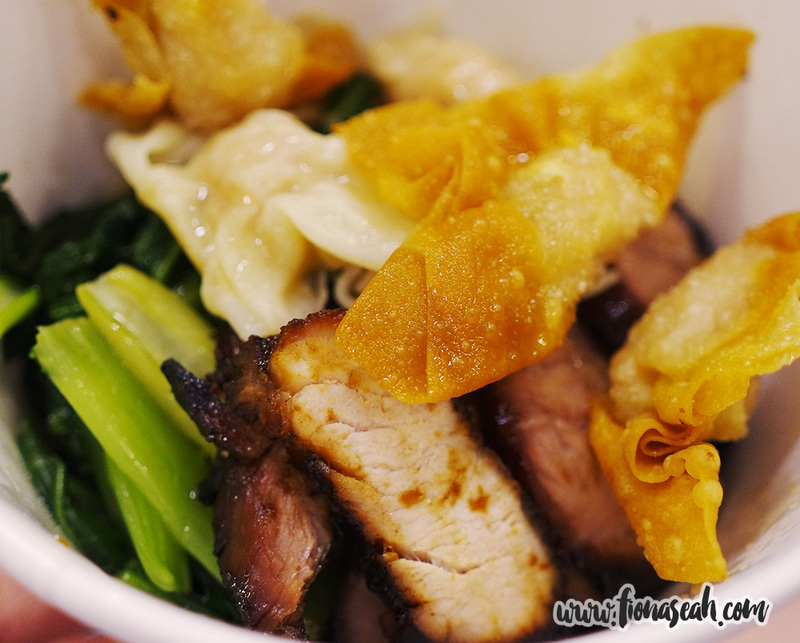 If you feel that your stomach is going to explode from overeating, you can always drop by Thye Moh Chan to get some of their packed to-go munchies. 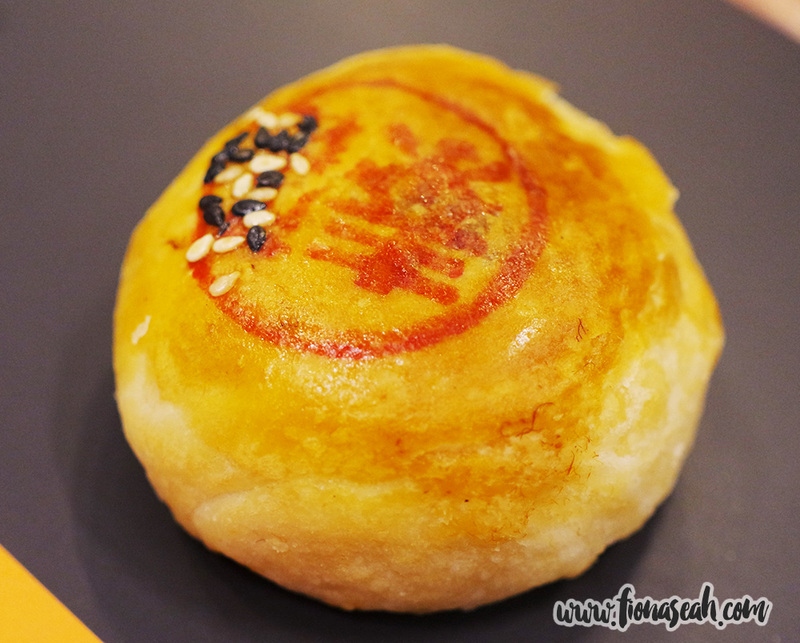 70-year-old Thye Moh Chan (now run by BreadTalk) is known for its authentic handcrafted pastries such as the famous Tau Sar Piah above which is generously filled with smooth and sweet mung bean paste and encased in a thick and puffy layer of flaky pastry. With so many mouth-watering food to choose from, it’s highly advisable that you go in groups and with an empty stomach so that you can get your hands on all the different types of food while maximising your stomach space. Seats are also very limited so you’d definitely need a partner to hold the table while you get the food. Also, do note that the stalls only accept cash. You may also want to dress in light, comfortable clothing because it’s gonna be a little stuffy at the fair (and also to hide that bulging tummy after all the binging).